1. In One Sport Technology, select Membership from the top menu, then Subscription Types, Actions and Add. Approval Process: Approval is required after payment is accepted. Yes: Absorb the full transaction fee. The subscription type will appear as stipulated in Cost. No: Pass on the full transaction fee to the member. The system fee will be added to the cost upon payment. 5. Select the Invoice tab and insert any custom text you would like to display on the invoice sent to a member upon selecting to 'Submit Now and Pay Later'. 6. 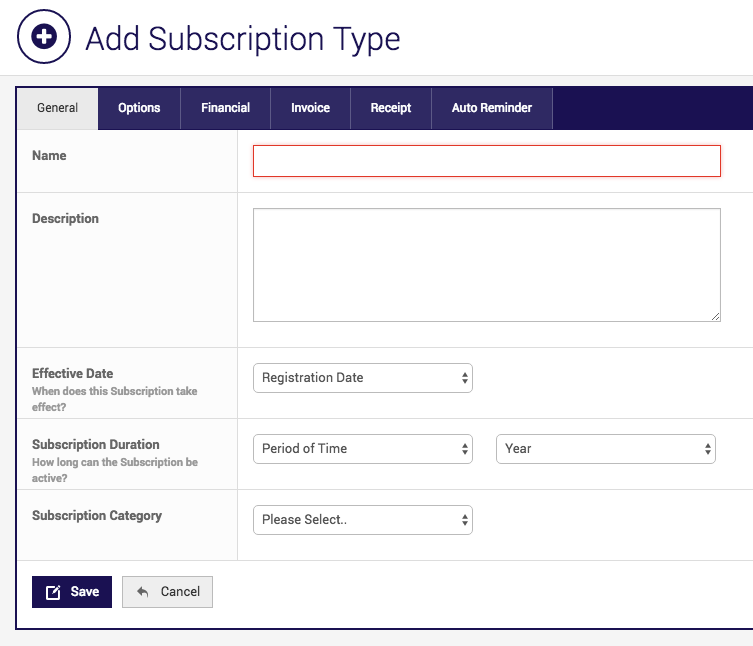 Select the Receipt tab and insert any custom text you would like to display on the receipt sent to a member upon payment of the subscription type.